Its mid-day Christmas day but already millions of shoppers thoughts are turning towards joining in on the Boxing days sales frenzy discounting bonanza, where the likes of retailers such as NEXT (6am) and Debenhams (7am) open their doors to the public. Just remember a cold snap is forecast for much of the UK tomorrow so be careful on the roads out there, especially by the evening and try not to get too caught up by shopping mania and over spend. Asda - until mid Jan.
Marks and Spencer - 8am. Selfridges - upto 60% off , 7am online, 9am in store. John Lewis - In store 8am. Argos - Extends and expands Discounts to 75% off, online from midnight . 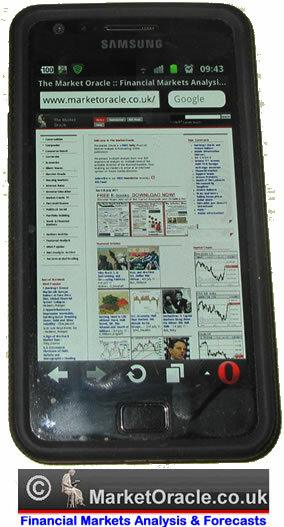 Check Market Oracle latest articles for updates. 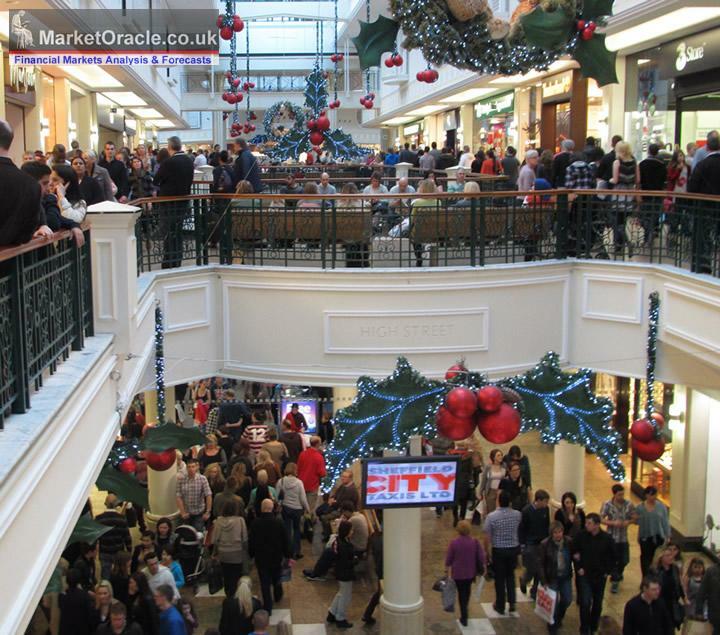 Expect the shops to be once more full to bursting point today as people conduct their last minute Christmas Eve shops. The following is a list of in-store and online sales (unless otherwise indicated) for at least 30% off with many retailers advertising sales of typically upto 50% off. Though in my opinion the REAL sales only begin ONLINE later today (Christmas Eve) and then continue into early January. So whilst do enjoy this mornings shopping spree, but do bare in mind that these are still NOT the real sales.